Most of the time when I talk (let’s be real: gush) about art here at Strawberry Moon, I’m talking about art history. 16th, 18th, 19th century. 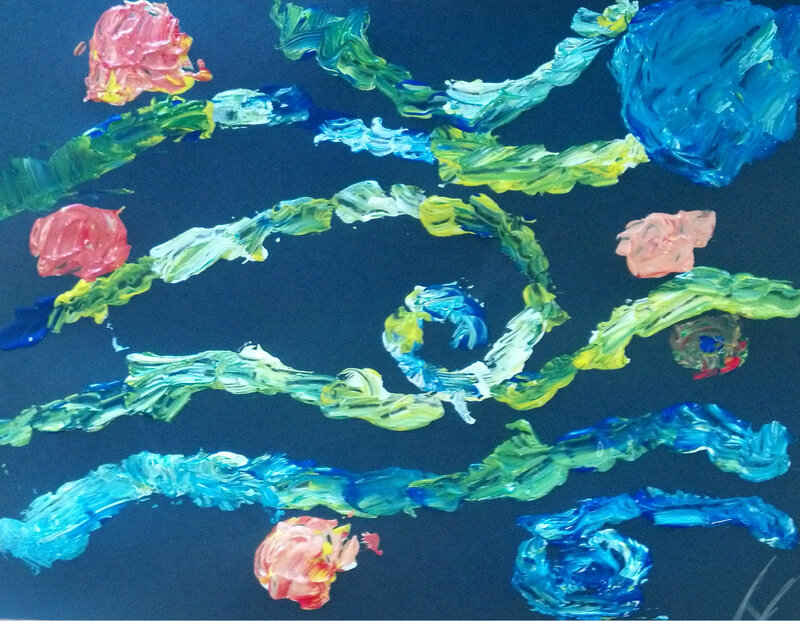 But today, we’re going for something a little more hands on with a kids’ art lesson inspired by van Gogh. 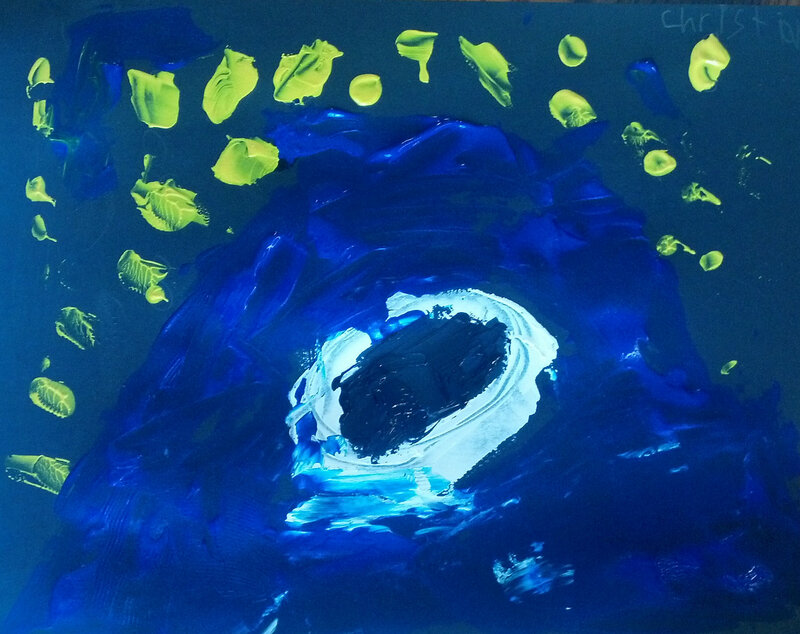 One of my many part-time jobs is as a volunteer art teacher at a local private elementary school. We have about 15 students from K-8th grade and I’m always amazed how much they really do pick up from an art history class geared towards their interests. 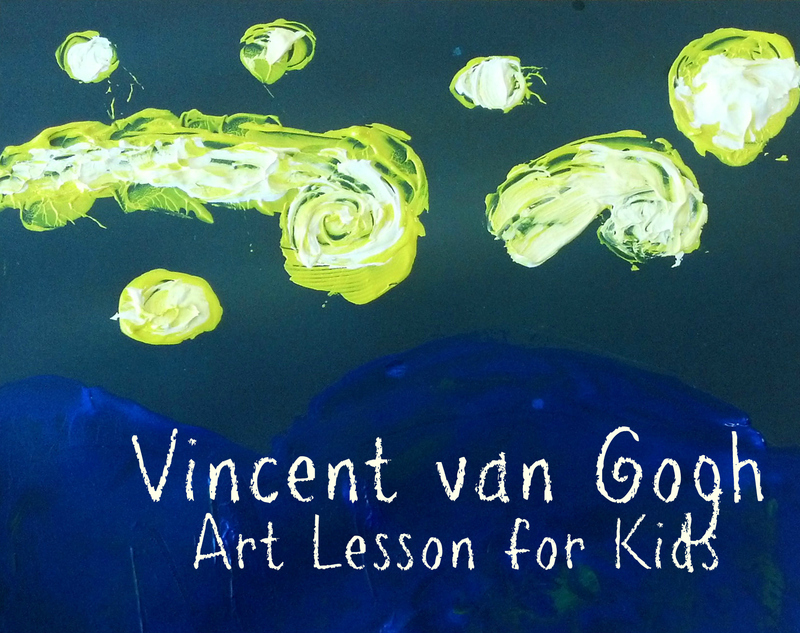 Van Gogh is always a favorite with kids and adults alike and this project is no different. The kids loved it and the result is some of my favorite pieces from the year. See below the cut for instructions and more examples or, just sign up for my free e-newsletter and you’ll receive the complete e-book straight to your email including the read-along lesson, instructions and examples! Have students read the lesson aloud in class, during which they will learn about van Gogh’s life and his paintings. Look at paintings by van Gogh, including Starry Night which is included on the lesson page, and discuss the elements of his technique, including short, choppy brushstrokes and rich blues and yellows. 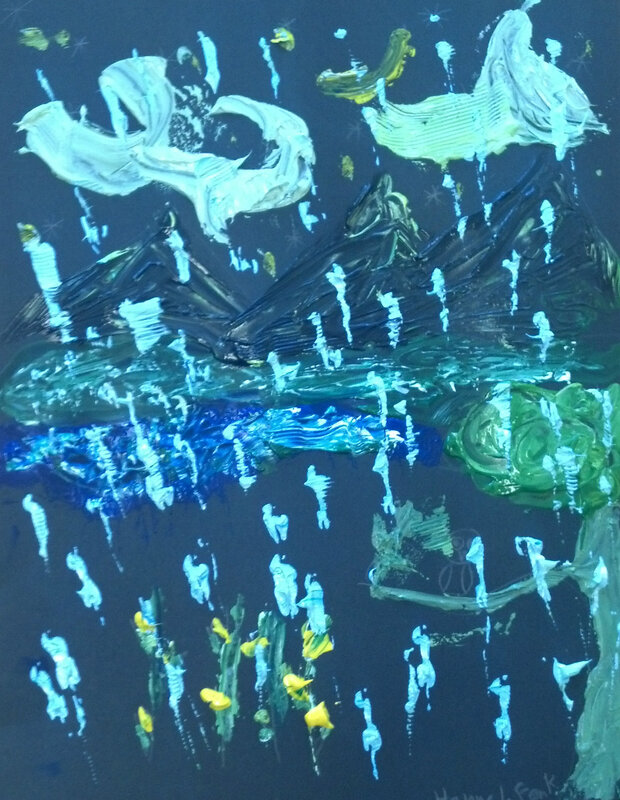 Apply the paint with plastic knives, scraping it across the paper. Brushes may be used for small details but the majority of the painting should be done with knives. 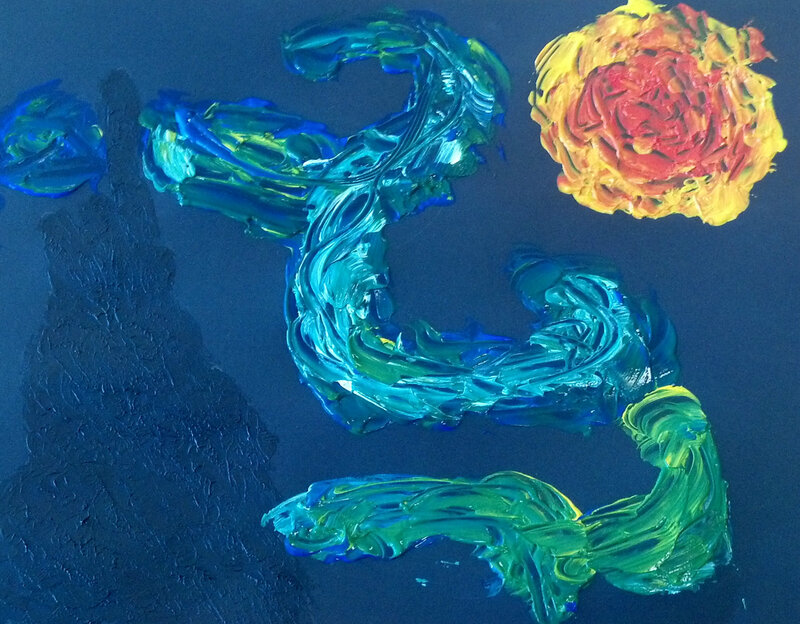 For the sky, apply yellow and white paint in swirls to represent the moon and stars.